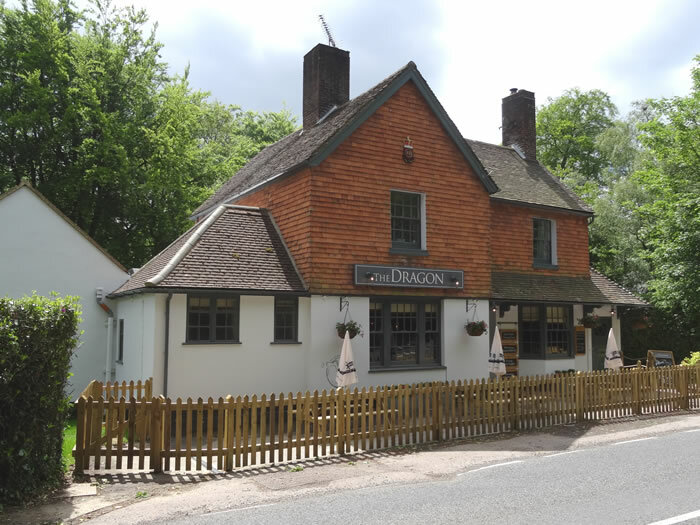 The Dragon is a Hall and Woodhouse pub that was extensively refurbished in early 2015. The pub re-opened in May 2015 with a new bar and restaurant area and more seating outside. There is a large grassy garden that stretches out at the side and rear of the pub. The pub is in a fabulous place for walkers and cyclists because of the closeness to St Leonard's Forest. The garden is a lovely place on summer evenings after mountain biking through the forest. It's great for a pint and you know that you only have a short trip back to Horsham! The Holmbush Inn in Faygate.